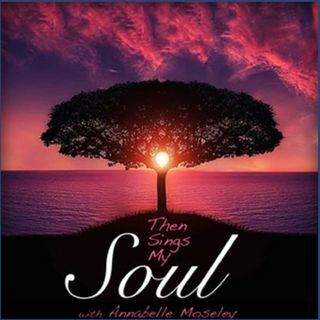 In this unforgettable episode of "Then Sings My Soul," Annabelle Moseley marks the conclusion of the season of Christmas with the Feast of the Baptism of Our Lord, with a discussion of the importance of "accepted love from God." This show is dedicated to the memory of her grandmother, Annabelle Black, who was born to eternal life December 26, 2018 at 101 years old. Her faith-filled death is illuminated as a beautiful lesson through our host's sacramental experience of ... See More attending those final hours. This episode includes a powerful clip of Annabelle Black telling a story in her own words of a formative experience from her childhood: becoming aware of God loving her. The listener is given the same challenge: to profoundly tune our awareness to God loving each of us; each day, and in turn to love others in a more agapic way.